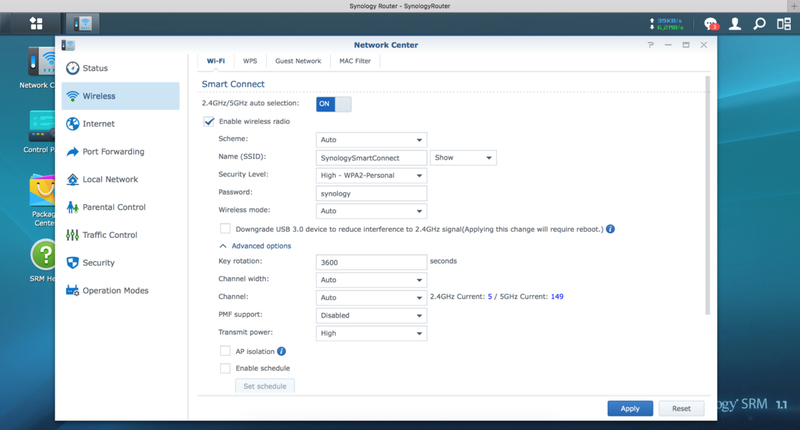 Synology recently launched their new Synology Router RT2600ac and VPN Plus. 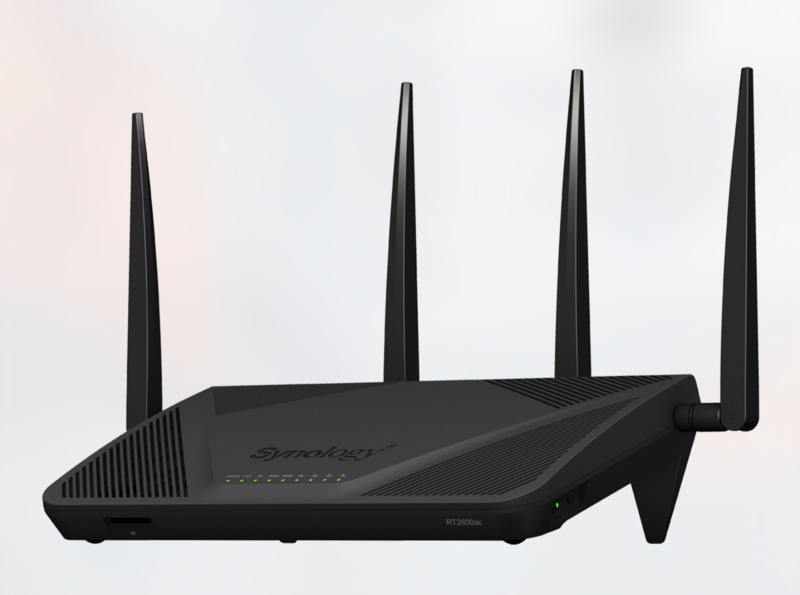 The RT2600ac is an upgrade to the popular RT1900ac router with a focus on high-speed and security. Synology was gracious enough to send us a unit for review. In the box, it came with the RT2600ac router, 4 antennas, ac wall power adapter, cat 5 network cable, and a quick start guide for installation options and QR code to download DS Router apps from iOS App Store and Google Play. It can easily be placed on a table or mounted without attracting much attention with its matt black plastic outer shell. The footprint is roughly 6.7 inches by 11.2 inches. Initial installation and setup was quick and simple. After the router is power on we followed the quick start guide to access the router’s web interface. It is powered by Synology Router manager (SRM) operating system. At the time of our test, the RT2600ac was using SRM Version: 1.1.3-6447-3 (2017/02/14). On the desktop is a web app called Package Center, a repository for additional web applications. Intrusion Prevention came pre-installed. An external USB storage, such as flash drive, is required for installing additional packages. In our use use case, we placed the RT2600 at a home/office covering 2600 sqft. The RT2600ac has two USB ports, one USB 2.0 and one USB 3.0. We used a Kingston DataTraveler Ultimate G3 64GB USB 3.0 with the USB 3.0 port. The USB 2.0 port can be used for other peripherals such as printers. 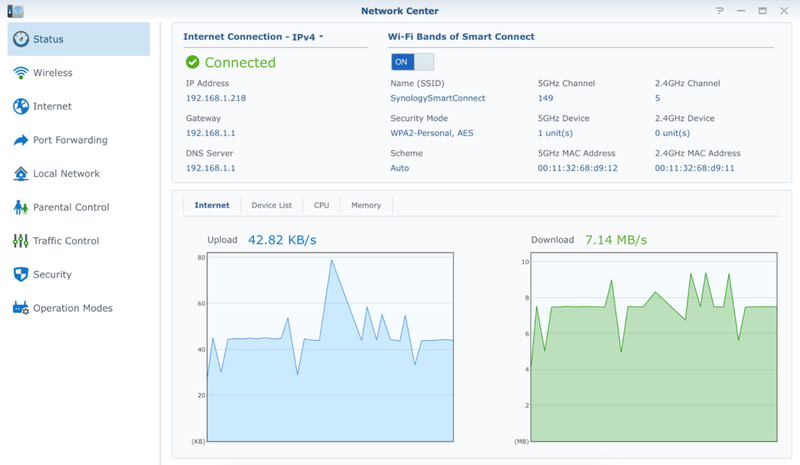 Synology Smart Connect combined the 2.4Ghz and 5.0Ghz wireless bands to one SSID. Rather then selecting which band we wish to use, Sinology will automatically pick one for my device depending on overall status of the bands with the connected devices. We can always disable this functionality and individually configure the bands but we had no reason to since we saw no issues with speed or stability. Like most wireless routers, the RT2600ac supports WEP, WPA/WPA 2 Personal and Enterprise, and Password security levels. We can further restrict access based on MAC address. Using Traffic Control, we have an easy to use interface for prioritizing traffic. Even during peak usage, we can guarantee bandwidth. As a Twitch partner, we appreciated this easy to use functionality and it helped insure smooth gameplay. Other packages we found useful were Media Server and Cloud Station Server. Media Server provided support for DLNA home devices. We can enjoy our movies and shows from the XBOX. As for Cloud Station, it helped keep specific folders on our staff’s computers in sync. We have a Synology NAS running at our headquarters. Cloud Station can also be used to keep files in sync between the two NAS. Let’s talk performance. The computer used for the test is a MacBook Pro Retina Late 2013 running OS 10.11.6. 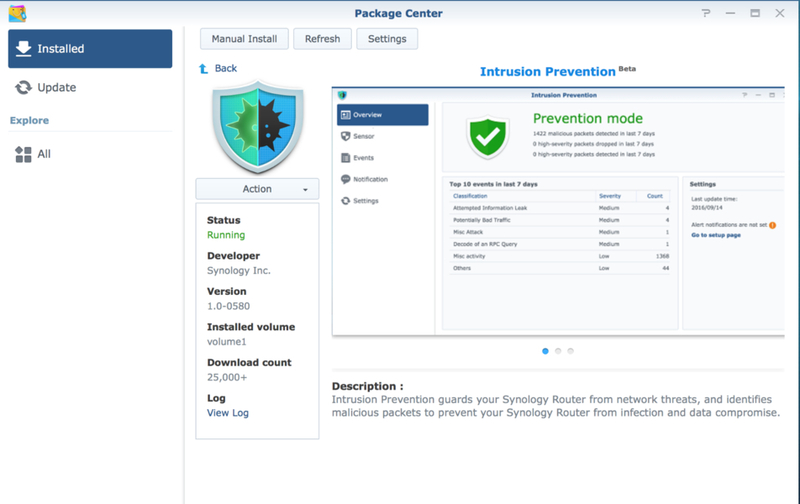 We left Synology’s Intrusion Prevention package running on the RT2600ac. 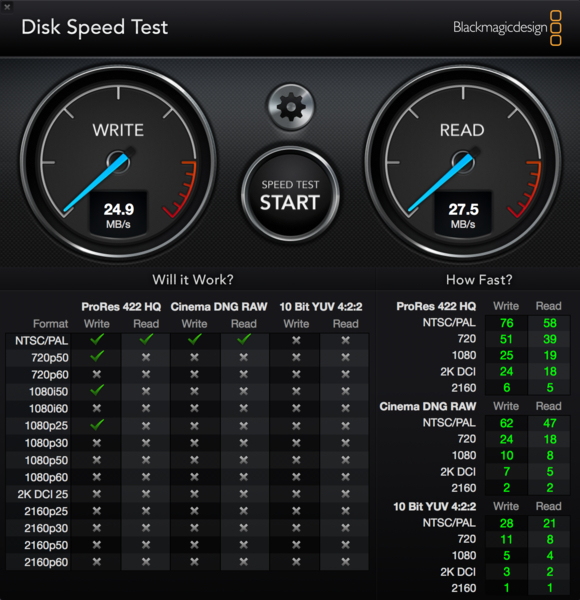 Using Blackmagic Design Disk Speed Test, we conducted a 2 GB stress test against the Kingston DataTraveler flash drive. It yielded an impressive 24.9 MB/s write and 27.5 MB/s read. We also measured performance using LAN Speed Test transferring a 20 MB file. accommodate but this does impact other users on the network. The VPN Plus Server is new to RT2600ac. For situations were you need additional security or handle HIPAA related content, VPN Plus turns the Synology router into a power VPN server. It supports WebVPN, SSL VPN, SSTP, OPENVPN, L2TP/IPSec, and PPTP. VPN Plus Server came with 1 license. Additional licenses were not available for purchase during our testing period. Overall, the Synology RT2600ac is a good performing 802.11ac router with a wide range of useful features thanks to the Package Center. This may not be the fastest router we’ve tested but thanks to it’s MU-MIMO support we saw no interruptions with gameplay streams. Synology Announces Official Release of DiskStation Manager 6.0 Redefine how your business works with non-disruptive maintenance, enterprise-ready disaster recovery, and private cloud collaboration tools.